Start your cobra adventure, my little hero, ‘cause today this cobra is you! Learn more about the behavior of this stunning poisonous creature in the human house surroundings! 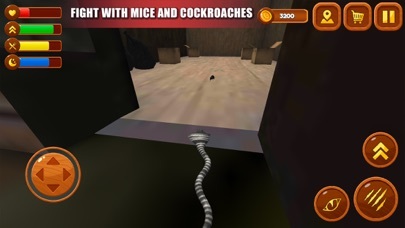 Here you’ll have several terrariums to live in, cruel rivals (for example, the dogs) and a lot of exciting moments – just download this Venom Cobra Snake Simulator and have fun! Cobra is really poisonous and dangerous, but, in fact, any living being needs its friends! 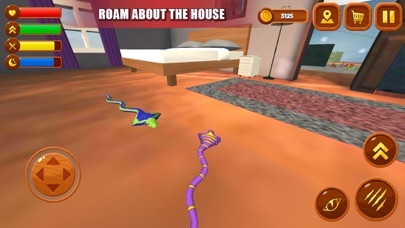 Here’s your chance to slither around the house in search of something really interesting… and maybe even troublesome! Some little bugs and rats have found their home in this large human’s house too, so find them all to have something delicious for your meal! Beware of the large human’s dog – it was trained to protect the house from such reptiles as you! Don’t try to defeat it until your health, endurance and strength levels will be high! Be silent and quiet, find the other cobra snake to create your own terrarium family and protect it from sudden attacks! 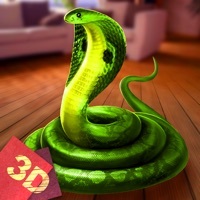 Check this stunning Venom Cobra Snake Simulator game and just enjoy it! Complete wide range of exploration, mating, feeding, family and fighting missions, loot your rivals and get some useful points! 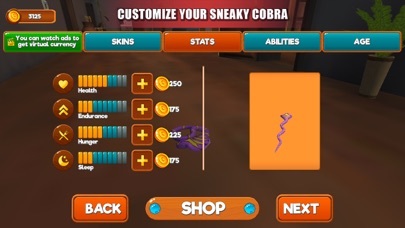 Spend them all as you wish: unlock interesting colorful skins for your little cobra or power its stats up! Mind the levels of health, water, energy, and hunger – keep them all to stay alive longer! 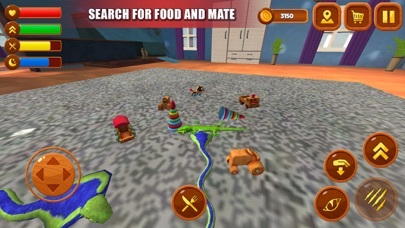 Venom Cobra Snake Simulator features: •	Unusual cobra snake pet simulation •	Large human house to explore •	Many interesting rivals (from little bugs and rats to the large dogs) •	Wide range of different missions and quests (from exploration to the mating ones) •	Many unlockable skins and power-ups •	Chance to raise a family of little cobras •	Fantastically colorful 3D graphics Become the most powerful cobra snake of this human house of Venom Cobra Snake Simulator game!